Are you a lighting manufacturer? Join the largest livechat industry group on QQ (214416643). Upshine Lighting is a value-driven manufacturer of specification-grade LED lighting products with uncompromising emphasis on operational performance, energy efficiency, reliability and durability. With ten years of experience in the LED industry, the company remains committed to exceeding customer expectations and evolving with them as priorities shift and technology advances. Upshine offers a highly focused product portfolio that caters to commercial interior lighting projects and high-end residential lighting market. Upshine LED downlights provide turn-key lighting solutions in domestic and commercial applications. The superior technology in Upshine LED track lights means they outperform competitor's products in terms of lighting effect, reliability and energy efficiency. Upshine ceiling light fixtures are designed to provide an abundance of quality light with contemporary aesthetics for your interior space in commercial lighting and residential lighting applications. Upshine carries a broad range of slim, low-profile edge-lit LED panels with multiple optional features such as high lumen output, low UGR, CCT changing, waterproofness, frameless design, up/down light emission, and round shapes. Upshine LED linear battens and LED tubes are designed to replace standard fluorescent fixtures for upgraded performance and energy efficiency. With Upshine Lighting, you're poised to capture more value for your money. The company's integrated manufacturing and engineering capabilities eliminate the multi-level markups ubiquitous in the LED lighting industry. Upshine operates a state-of-the-art 15,000 square meter manufacturing facility with sophisticated IT infrastructure, which includes high speed, automatic SMT pick and place machines, LED driver circuitry assembly lines, productive fixture assembly lines, CNC controlled auto welders and conveying systems, and automated equipment for manufacturing mechanical parts. An outstanding team of 60 in-house engineers works at the cutting edge of LED lighting technology and brings the very best in LED performance. 650 highly skilled and experienced workers deliver consistent quality and efficiency in manufacturing. Through dedication to quality craftsmanship, exceptional product performance and complete customer satisfaction, Upshine Lighting has earned a solid reputation for quality product and quality service. Upshine's products are manufactured through rigorous quality control and quality assurance procedures. At every stage of development and manufacturing, Upshine's LED lights undergo specialized tests such as heat, photometric, ageing, and safety testing and evaluation. In addition to 100% in-house functional testing, Upshine's energy-efficient lighting products are fully tested by third party providers with certifications and qualifications issued by UL, ETL, Energy Star and DLC. The Upshine sales team takes customer satisfaction to heart with professional support, unrivalled responsiveness, incredible efficiency and personal attention in every step of the process and beyond. AGC Lighting is an Upshine invested company that specializes in developing and manufacturing industrial lighting fixtures. This page was built and maintained by the team at manufacturer.lighting, a premier industry portal that truly leverages professional industry expertise and integrated internet marketing strategies [about us]. 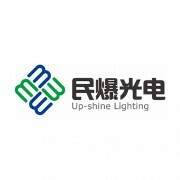 Please contact us if you're associated with Upshine Lighting Co., Ltd. and are authorized to claim this company listing. Upon upgrading your account you'll have a full-featured membersite to publish and promote your products. We're devoted to making you stand out in a crowded market by delivering your business value and industry competitiveness in front of the global business audience, instead of compelling you to be an online vendor that competes desperately on price.